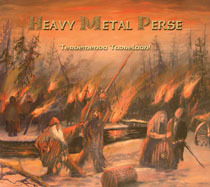 Heavy Metal Perse was founded in Kajaani, Finland in May 2000 by guitarist Juha Leikkainen, drummer Heikki Romppainen and singer-guitarist Matias Palm. The intention was to create world's first True Metal band who sing in Finnish language. 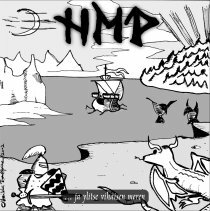 The songs for HMP's first demo CD were written very fast, and already in July of the very same year the band started recording them after rehearsing only three times during their 2-month-history! 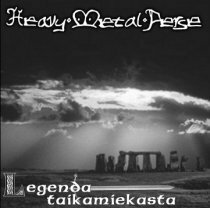 The first HMP demo CD called "Legenda Taikamiekasta" was released in April of the following year and soon after that the band found a bass player in form of Harri Leinonen. Later the poor-quality demo tracks ended up in the p2p networks and made the band known also outside their hometown. At the end of the same year (2001) HMP started recording some new songs for their next demo release. The production couldn't be found amusing this time either but the band's playing had grown tighter and this was also a reason to re-record the song "Legenda Taikamiekasta". Another reason was that the band wanted to shoot a video for the same song. 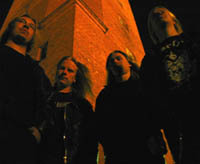 The second demo CD titled "...Ja Ylitse Vihaisen Meren" was unleashed in September 2002 trebling the sales of the previous record. The year 2003 saw the first official live concert of Heavy Metal Perse on May 24th at sold out Nousu, Helsinki with Amoral and Seiväs. With over 120 people packed in, the show was a big success. Also, it can be well said that this show made the Finnish Metal media site Imperiumi convinced that the song "Legenda Taikamiekasta" needed another re-make for Imperiumi's forthcoming band compilation, this time to be recorded in a real studio. In October of 2003 HMP stepped in the Jive studio in Helsinki and recorded a third (and this time the last) version of "Legenda Taikamiekasta". However, a couple of months later it turned out that the record company that was responsible for releasing the intended Imperiumi compilation, was split, and this left the newly recorded song without a publisher. Together with Imperiumi it was agreed that now was a good time for the first audio release of Imperiumi Records in the form of split CDS. 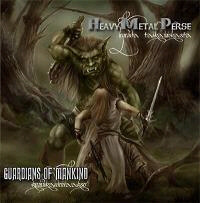 Another band for the single was found in the Finnish Gamma Ray tribute "Guardians of Mankind" who did their share by recording a Finnish-sung version of Gamma Ray's well-known track "Valley Of The Kings". The single got its release at Helsinki's famous Tuska Festival in July 2004 and was received very well among the metal fans. The both title tracks aired on the national Finnish radio network a few times. Another studio session followed at the end of 2004 when HMP started working on a new CD EP at Orimattila Institute studios. The recordings were done very quick but since the sound engineer kept himself busy with other productions, the mixing process took him way longer than expected. The 3 new songs were mastered at Content Union Studio, Helsinki by Eero Kaukomies and the new MCD titled "Tervemenoa Tuonelaan!" was finally released in August 2005.